Join those of us who support PETA, believe that animals are not ours to use for food, clothing, experimentation, entertainment or exploitation. We are all supporters of the PETA Organization. Occasionally, some pics or language may be controversial. People for the Ethical Treatment of Animals (PETA) is the largest animal rights organization in the world, with more than 3 million members and supporters. 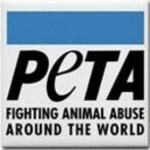 Founded in 1980, PETA is dedicated to establishing and protecting the rights of all animals. PETA operates under the simple principle that animals are not ours to eat, wear, experiment on, or use for entertainment. Need to renew your PETA membership?